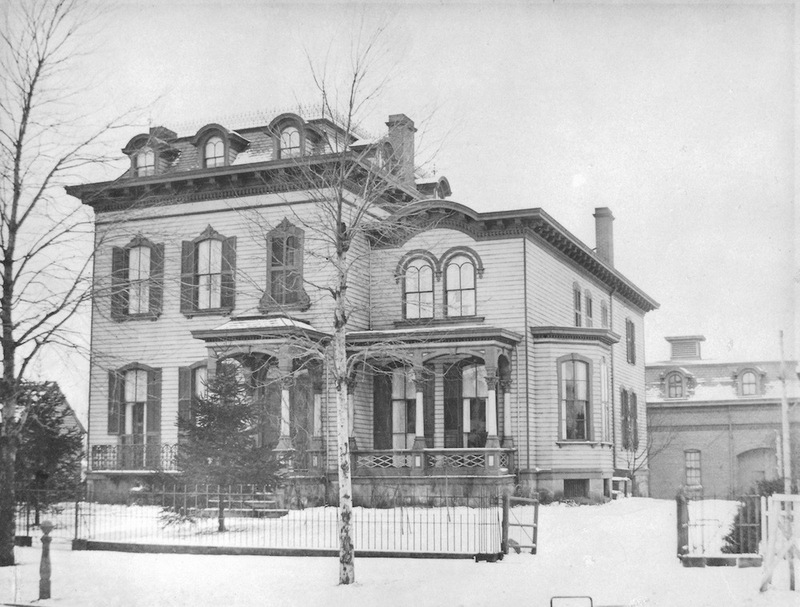 The Second Empire Italianate-style house at 327 Franklin Avenue (today, 4606 Franklin Boulevard), designed by the notable architectural firm of Griese & Weile, was undoubtedly a place of refuge for Cleveland Mayor Stephen Buhrer, as the city struggled to sort itself out politically in the wake of the horrendous United States Civil War. 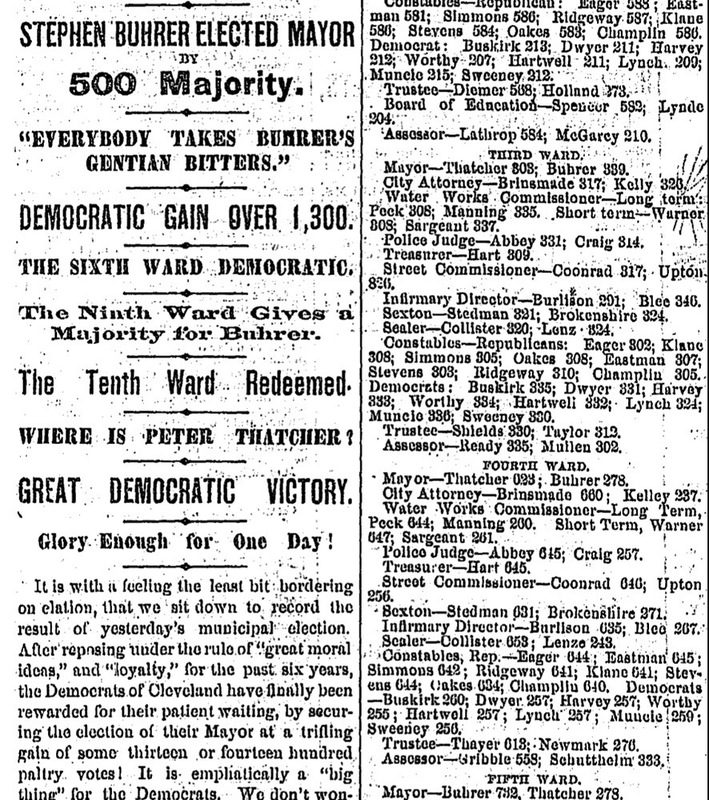 When Buhrer, a Democrat, was elected mayor on April 1, 1867 after three consecutive Republican administrations dating back to the beginning of that war, the Plain Dealer, then a partisian Democrat paper, couldn't resist. In its next day edition, it not only celebrated the victory, but also mocked the local Republicans who had branded the Democrats as "traitors" and "disloyal." 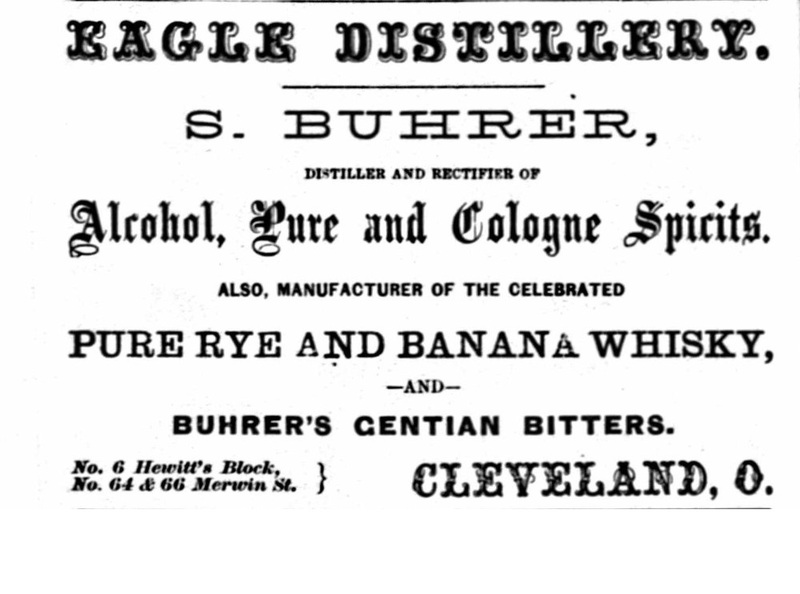 A week later, on April 9, the Cleveland Leader, the partisan Republican paper, concluded that Buhrer had only been elected because of "a fusion of the German beer-drinking vote and Democrats." And the Leader was just getting started. It spilled much ink during Buhrer's two terms (1867-1871), criticizing the mayor, who owned a distillery business, often referring to him as a "dictator" and claiming that his police force was notoriously soft on liquor violations, while hard on citizens when they publicly assembled to celebrate post-Civil War Republican achievements like the Civil Rights amendments to the Constitution. Stephen Buhrer led a life that was a Horatio Alger rags-to-riches tale. 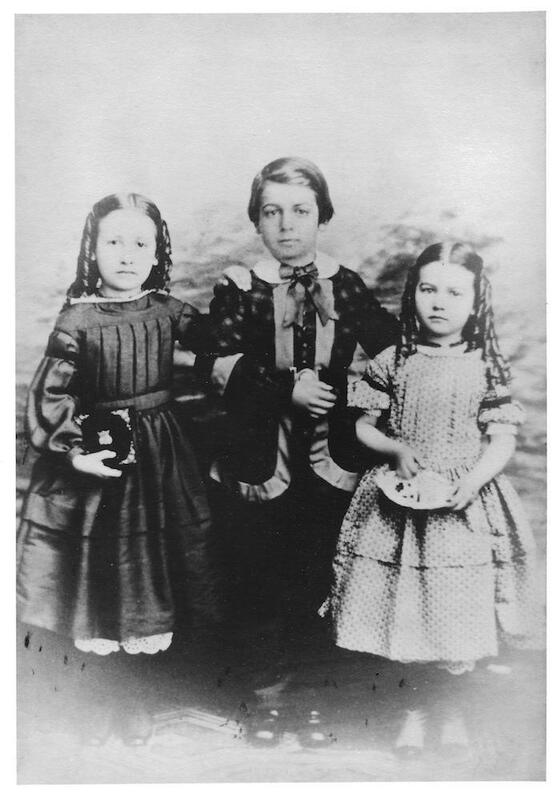 He was born in Zoar, Ohio in 1825. When his father died in 1829, Buhrer was bound over to the Society of Separatists who operated a communal farm there. He began working on the farm at a young age and learned the cooper trade. 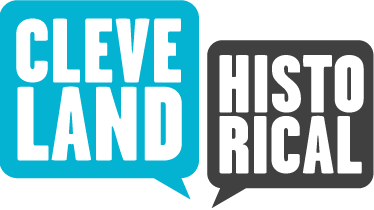 He left the community when he turned 18 years old, eventually settling in Cleveland in 1844. He initially worked as a cooper here, but soon left the trade and founded Eagle Distillery, a wholesale and retail liquor business which made him wealthy. It had offices and a warehouse on Merwin Street in the fast-growing Cleveland Centre. Working in a firm next door as a bookkeeper was young John D. Rockefeller, who once asked Buhrer for a job. The two later became life-long friends. 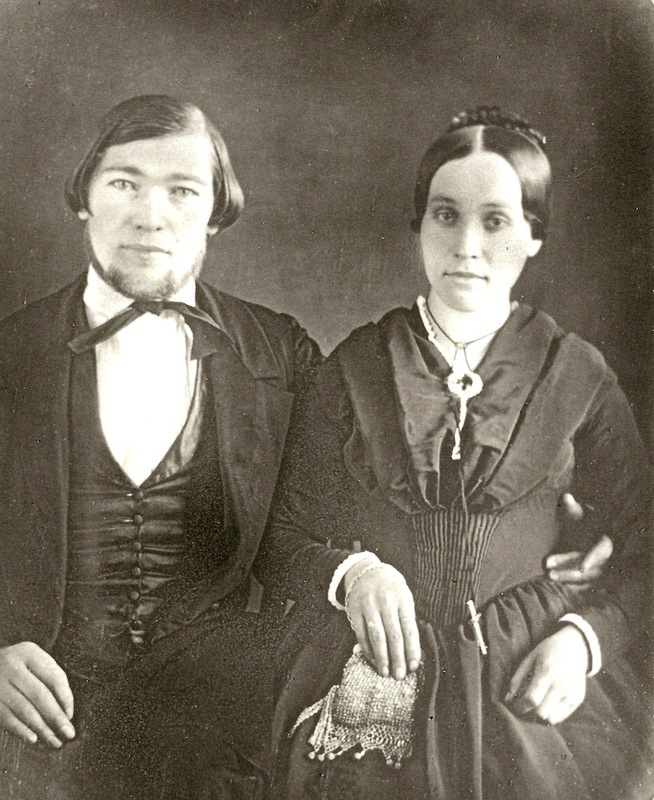 Buhrer married Eva Schneider, a German immigrant, in 1848, and the couple moved to a house in Ohio City. In 1855, the year following that city's annexation to Cleveland, he entered local politics, winning the Ward 11 trustee (council) election at just 29 years of age. 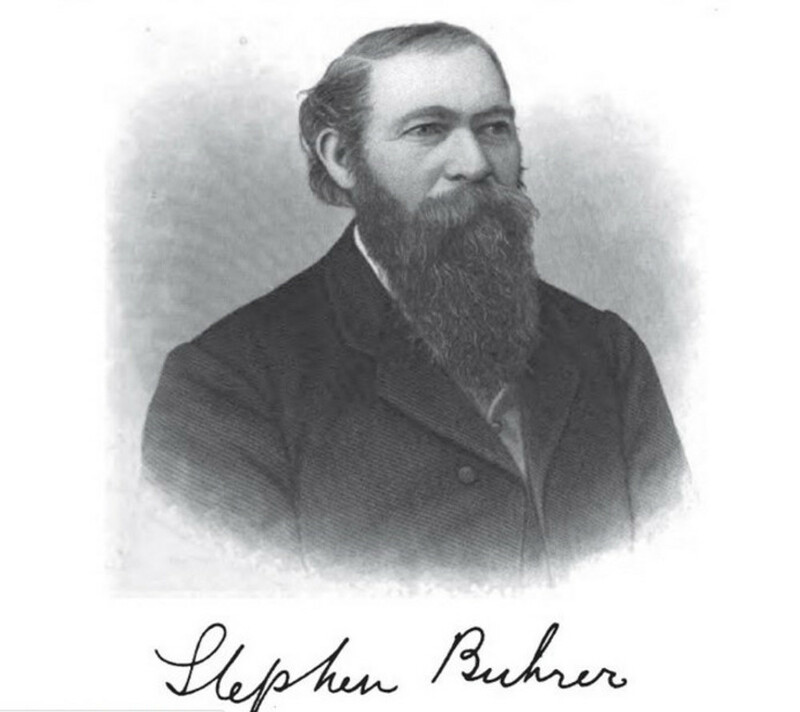 Buhrer would go on to serve three terms as a ward councilman before being elected mayor in 1867. 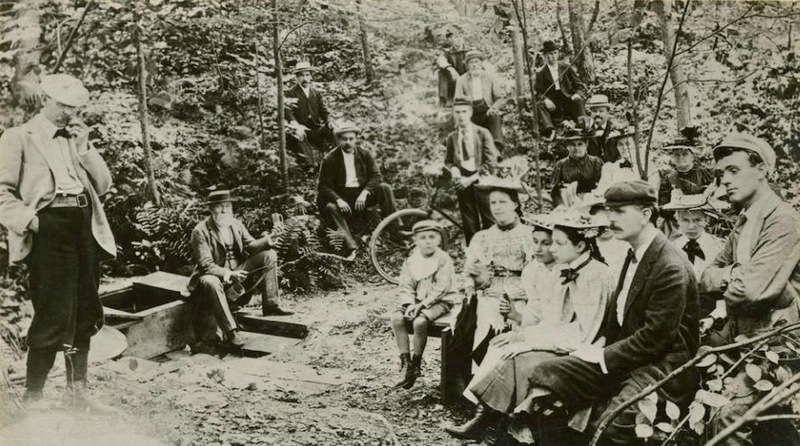 As councilman, one of his universally acknowledged Civil War era achievements was successfully satisfying the federal quota requirements for his ward, thereby easing his constituents' fears of becoming subjected to what many then viewed as an oppressive federal draft. Later, as Cleveland mayor, he was credited with building the city's first workhouse and for laying the groundwork for the construction of the first viaduct over the Cuyahoga River, subsequently completed in 1878. 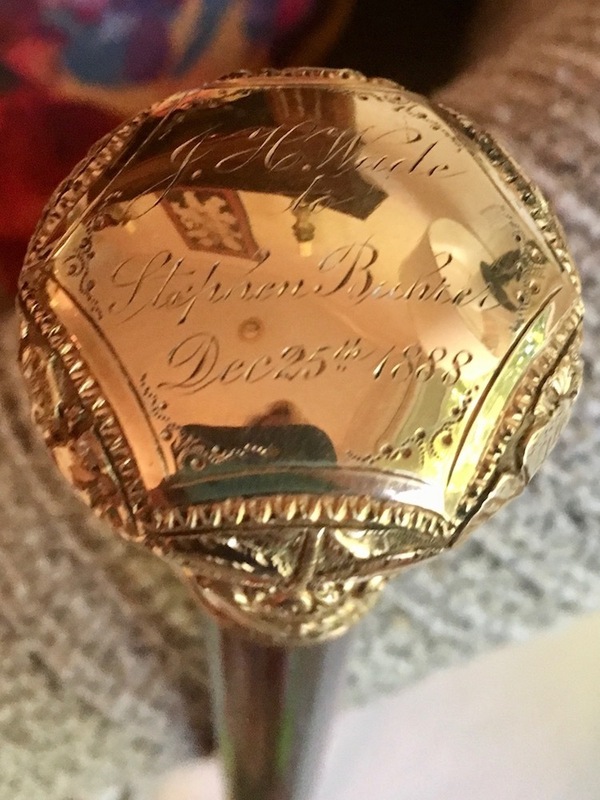 In 1869, the same year in which he began his second term as mayor, Buhrer, and his wife and their three children, moved into the grand house on Franklin Avenue. Buhrer lived in the house for almost 40 years, until his death in 1907 at the age of 82. 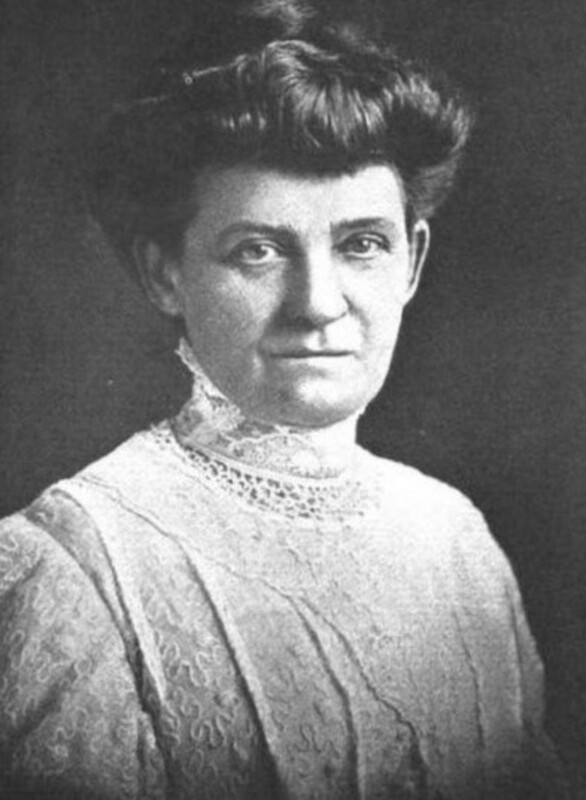 His second wife, Marguerite Paterson--Buhrer's first wife, Eva, had died in 1889-- continued to live there until her own death in 1914. It would be the last time that the large house with approximately 5,000 square feet of living space was used as a single family dwelling. Upon the death of Stephen Buhrer's widow, the house at 4606 Franklin Avenue passed by will to her brother, Abraham Paterson. 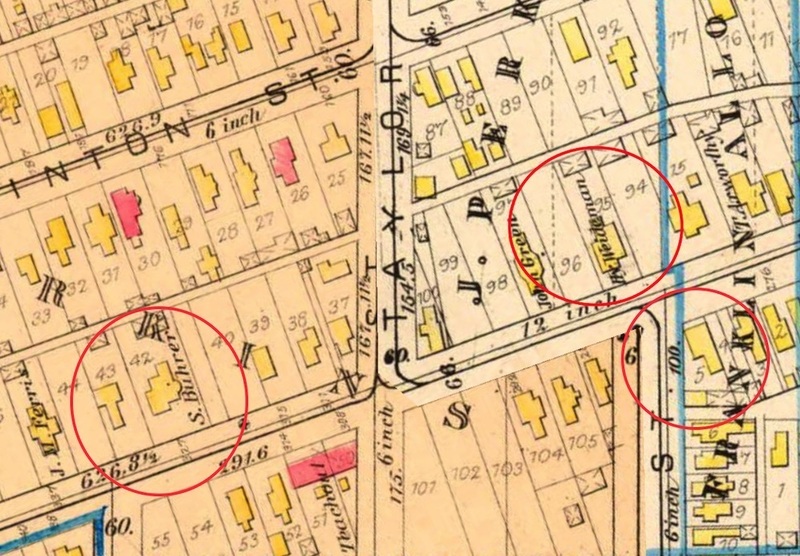 By the time Paterson inherited the property, Franklin Avenue was no longer the west side's answer to millionaires' row that it had been in the nineteenth century. Like many other owners of large houses on Franklin Avenue, Paterson converted the Buhrer house into a multi-family dwelling. According to the 1920 federal census, there were three families and a total of 13 persons, including Paterson and his wife, living there. 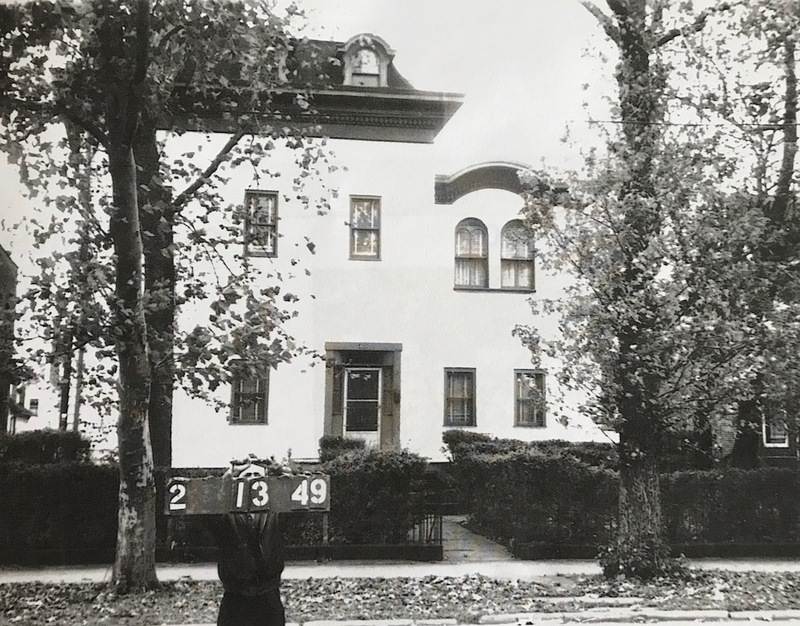 By 1930, Paterson had sold the house and, according to the census of that year, the new owner had increased the number of tenant families living there to eight, with 21 people sharing living space in the house. Over the years that followed, which included the decade of the Great Depression, followed by several decades of general decline on Cleveland's near west side, the condition of the once grand Buhrer house also declined. At some point in time between the 1930s and 1950s, the house lost its front porticos and its ornate window shutters. 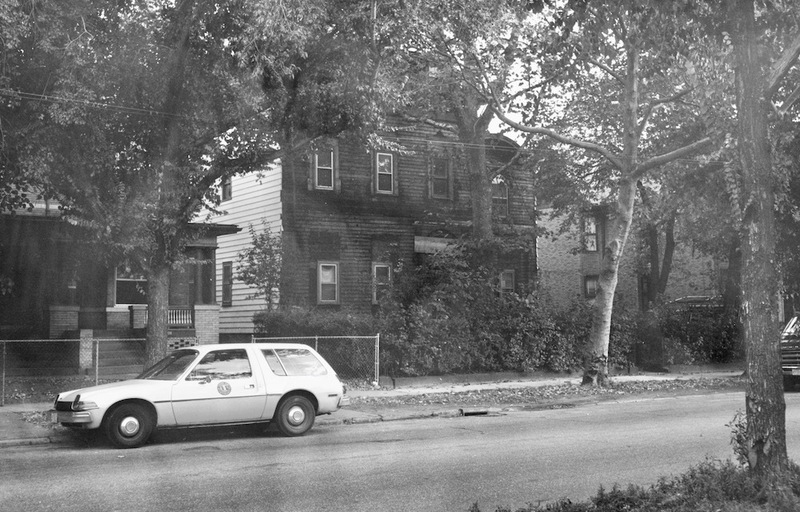 By 1960, as a tax photo of the house taken in 1961 reveals, it was a house which hardly resembled the structure designed by Carl Griese and Albert Weile. By the end of the 1970s, the house appeared to be almost in shambles, with photos showing a board nailed across its front door. 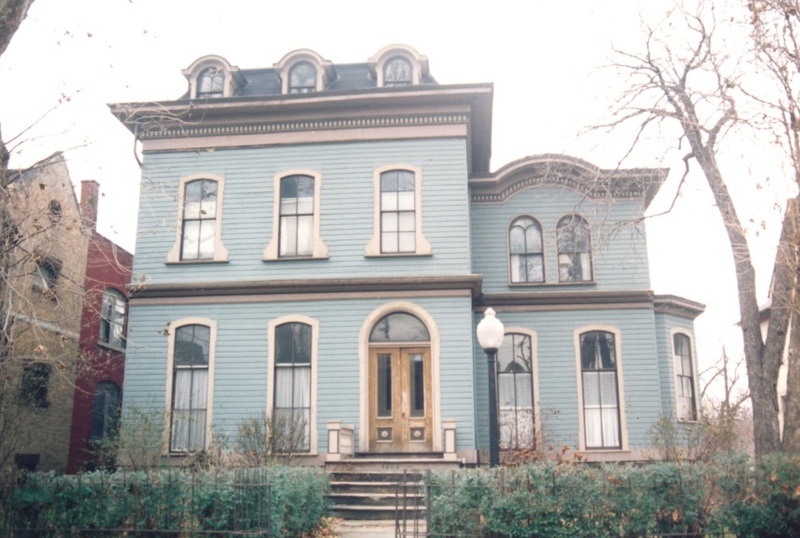 But then in 1980, it was rescued by Charles and Alice Butts, who renovated the house along with a number of others in Ohio City during this period. As a result of the Butts' efforts, the Buhrer house once again began to at least resemble its original design, although the porticos were not restored. Under the Butts family ownership, the Buhrer house has now for more than three decades served the Ohio City neighborhood as a multi-family dwelling with five suites. 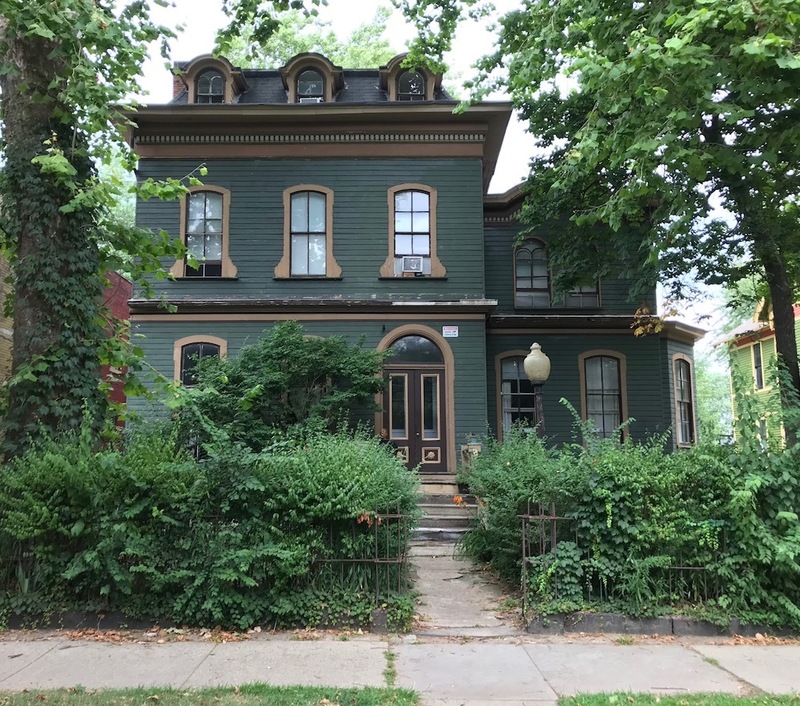 Recent photographs of the house show that, while it could use a fresh coat of paint, some landscape work, and possibly a new roof, it is at least still standing as it celebrates in 2018 its 150th birthday on historic Franklin Boulevard. 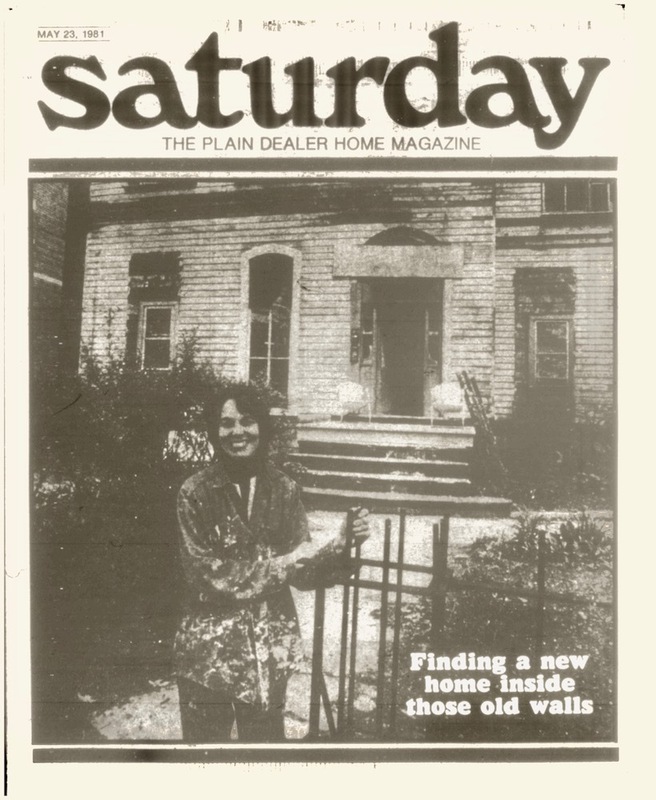 Jim Dubelko, “Stephen Buhrer House,” Cleveland Historical, accessed April 18, 2019, https://clevelandhistorical.org/items/show/805. Published on Jun 25, 2017. Last updated on Aug 5, 2018.